Former Trump strategist Steve Bannon aims to unseat incumbents in the 2018 midterms. President Donald Trump promised to drain the swamp, but to one of his most controversial political allies, that morass has widened — to now encompass the Republican Party. Appearing on Fox News’ “Hannity” show in October, former White House strategist Steve Bannon called the GOP a “globalist clique.” Bannon, who is executive chair of the far-right Breitbart News Network, promised to use his media platform and funding connections to challenge every Republican incumbent (apart from Texas Sen. Ted Cruz) with his own “coalition” of candidates for the 2018 midterm elections. 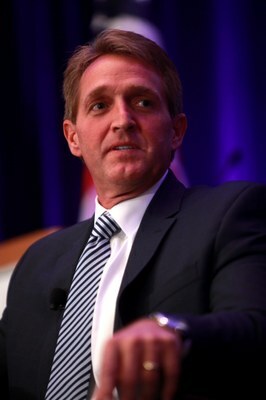 Sen. Jeff Flake recently announced he will not seek reelection. Trump responded by tweeting that Flake’s decision to not seek reelection was because he had “zero chance of being elected.” That’s not true, but it would have been a competitive race. Flake’s Senate seat was considered “toss-up” by the nonpartisan Cook Political Report, meaning it could go either red or blue. On Oct. 17, Bannon threw his support toward Flake’s would-be primary challenger, former state Sen. Kelli Ward, at a campaign fundraiser in Scottsdale, Arizona. The Great America PAC, which raised $30 million for Trump in 2016, has also pledged support to Ward and has begun donating to her campaign. A first-term senator, Heller is vulnerable in the 2018 midterms because Nevada went for Democrat Hillary Clinton in the 2016 election. The Cook Report ranks his seat a “toss-up.” Heller did not endorse Trump during the 2016 campaign, but he told the Nevada Independent in August that he did vote for him. Heller voted against his party’s attempts to repeal the Affordable Healthcare Act, a primary goal of the current Republican-controlled Congress. “He wants to remain a senator, doesn’t he?” Trump asked the room during a televised meeting on health care with Republican senators, referencing Heller’s voting record. Bannon supports Heller’s opponent Danny Tarkanian, who has run five unsuccessful campaigns for Republican office, including a House bid last year. Tarkanian has cast Heller as part of the “clique” Bannon is seeking to unseat, calling him “D.C. Dean Heller” and an “establishment politician.” Tarkanian has fervently supported Trump on policy and in media appearances since the election. Bannon met with Tarkanian privately to express his support, according to Politico. Meanwhile, Heller is trailing Tarkanian by as much as 6 points in recent polls. John Barrasso's Senate seat in Wyoming is part of Bannon's plans for 2018. Bannon has also named long-time lawmaker Barrasso as a targeted, albeit “safe” incumbent. 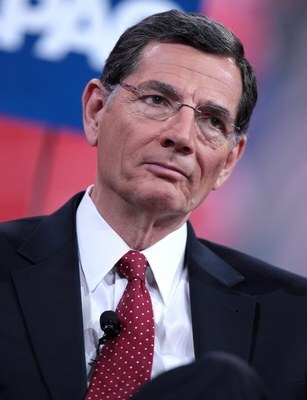 Wyoming is a deeply red state, and Barrasso has good standing with voters there with his solidly conservative voting record. However, in his war with the GOP, Bannon has said that “just voting is not enough.” In October, the New York Times reported that Bannon was encouraging Erik Prince, founder of the controversial security contractor Blackwater, to challenge Barrasso. Prince, who considers himself libertarian, has never held public office. He is the brother of Secretary of Education Betsy DeVos. Prince has not officially announced his candidacy, and if he does, will have to work to overcome the stigma of being the candidate who has not spent much time in the state he may campaign in. The Times reports he had an address in Wapiti, Wyoming, in the late 1990s and early 2000s. Hatch, the longest-serving Republican senator in Congress, has not yet announced if he will seek reelection in 2018, but his seat is already on Bannon’s list. Utah’s reaction to Trump’s campaign was mixed. Even though the state is Republican, politicians and voters objected to Trump’s characterization of immigrants and his harsh rhetoric. Since the election, Hatch has emerged as a Trump ally, helping the president select Neil Gorsuch for the Supreme Court and convincing the president to review both Bears Ears and Grand Staircase-Escalante monuments. But he has also been critical at times. So far, no one has come forward as a challenger with Bannon’s blessing, but Utah state Rep. Mike Noel has made overtures. “He knows I’m a lot like Trump,” Noel said of Bannon in an interview with the Salt Lake Tribune. “Win or lose, I’m going to tell it like it is.” Noel was under consideration to direct the Bureau of Land Management under Trump. Boyd Matheson is another potential challenger. Matheson is a former chief of staff with Sen. Mike Lee, and president of the Sutherland Institute, a conservative think tank based in Salt Lake City. Thumbnail image of former White House strategist Steve Bannon and former Chief of Staff Reince Preibus by Gage Skidmore/Flickr.